If you've been planning a trip to South America, or even if you haven't, this is one destination you can't help but add to your bucket list. Buenos Aires, Argentina's El Ateneo Grand Splendid, a 100-year-old theater, is now a bookstore, and it's absolutely gorgeous. Seriously, I'm about to pull a From the Mixed-Up Files of Mrs. Basil E. Frankweiler and just go live there. The Grand Splendid was originally a tango theater, built in 1919, then called the Teatro Grand Splendid. Ten years later, it was converted into a cinema house, which just so happened to be the first in the country to show talking pictures. 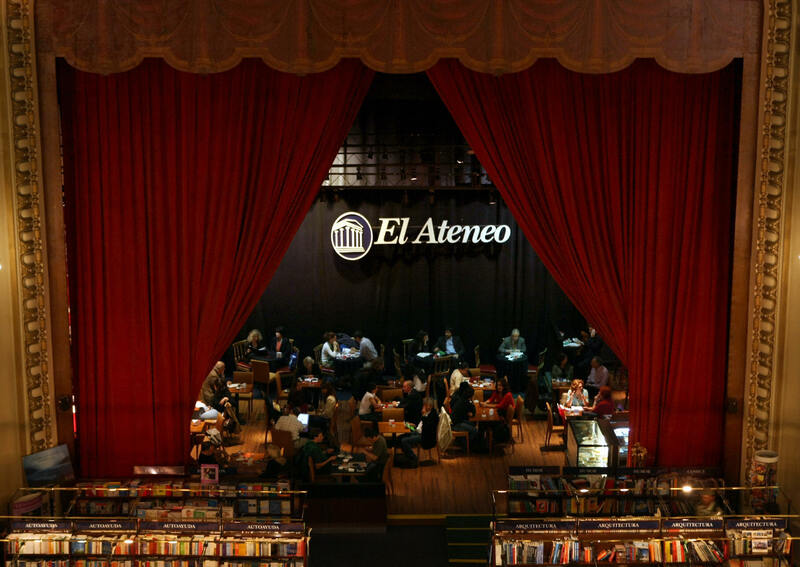 In 2000, Argentine publishing house El Ateneo — which, having been founded in 1912, is older than the theater itself — acquired the Grand Splendid and renovated it for ARS $3 million, or about $200,000 U.S.
Its conversion from theater to bookstore gave the Grand Splendid a new life, quite literally. The antique building was slated for demolition just before the publisher leased it. Today, the El Ateneo Grand Splendid welcomes more than 1 million visitors every year. Patrons enjoy live piano music from the theater stage as they snuggle into their reading nooks. On the weekends, the Grand Splendid stays open until Midnight, as, obviously, every bookstore should. If you need a copy of La Chica del Tren or Harry Potter y el Legado Maldito, why not venture to the most beautiful place on earth to buy it? Now, if you'll excuse me, I have a plane ticket to buy.